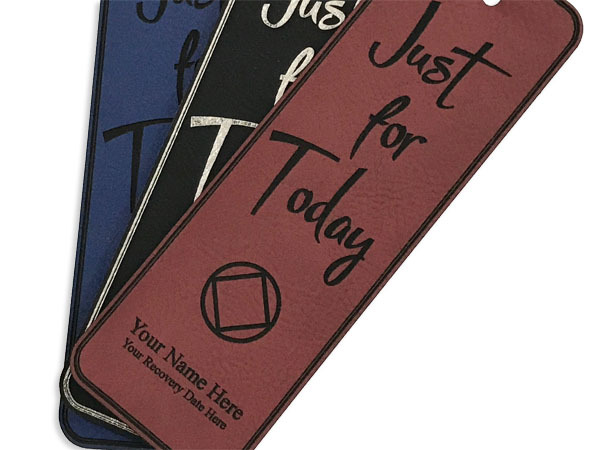 These leatherette NA Basic Text Bookmarks are perfect for anyone that's truly in the book! 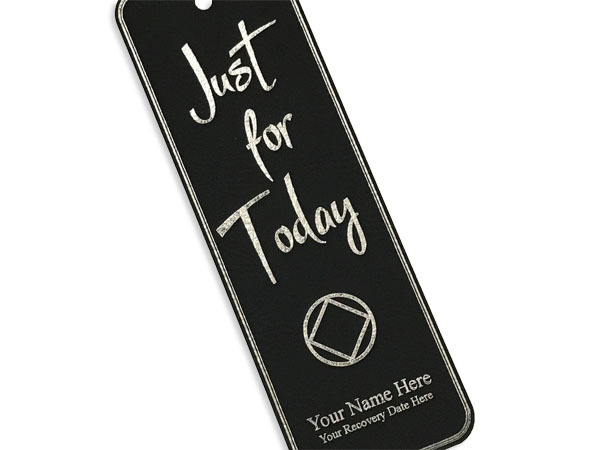 Leatherette is a very soft faux leather designed for laser engraving. 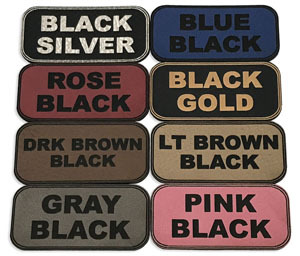 It is a smooth, flexible material that looks and feels like real leather. 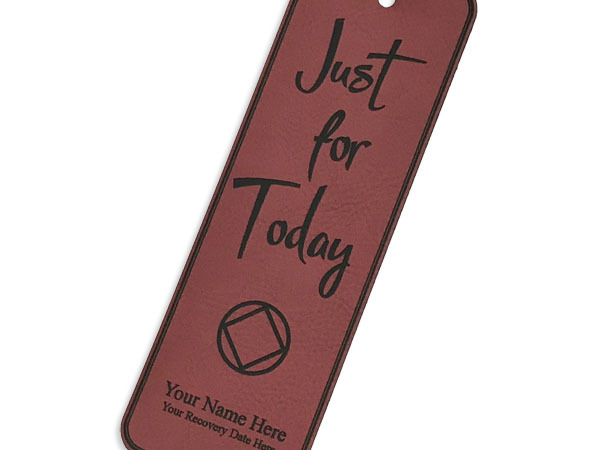 Each bookmark is engraved with an awesome "Just For Today" design, a Circle and Diamond symbol, and a NAME and CLEAN DATE! Of course, we can substitute your homegroup's name and location, or nearly any special message. Each has a nice tassel attached, as well. We welcome your ideas for designs! 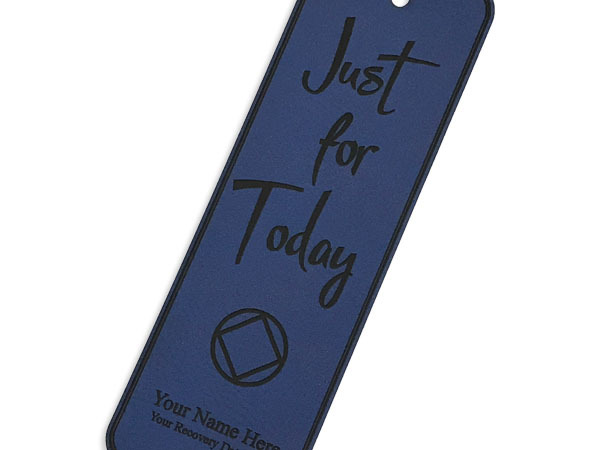 Custom bookmarks are available, too! Simply Contact Us with your design requirements. 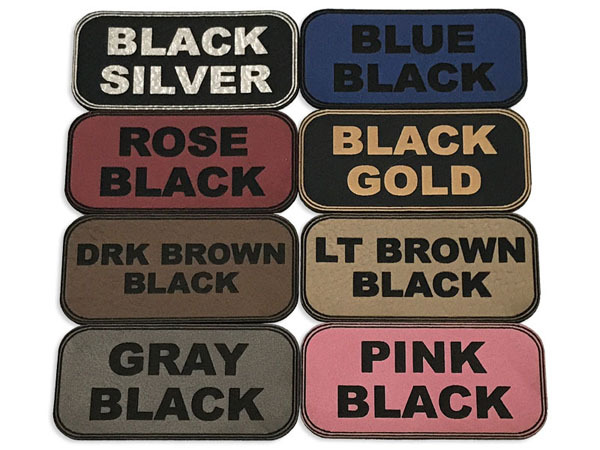 Offered in a variety of nice colors! Contact Us with your custom requests!